I love spending time in my craft room. I have so many thank you cards to send after Christmas. 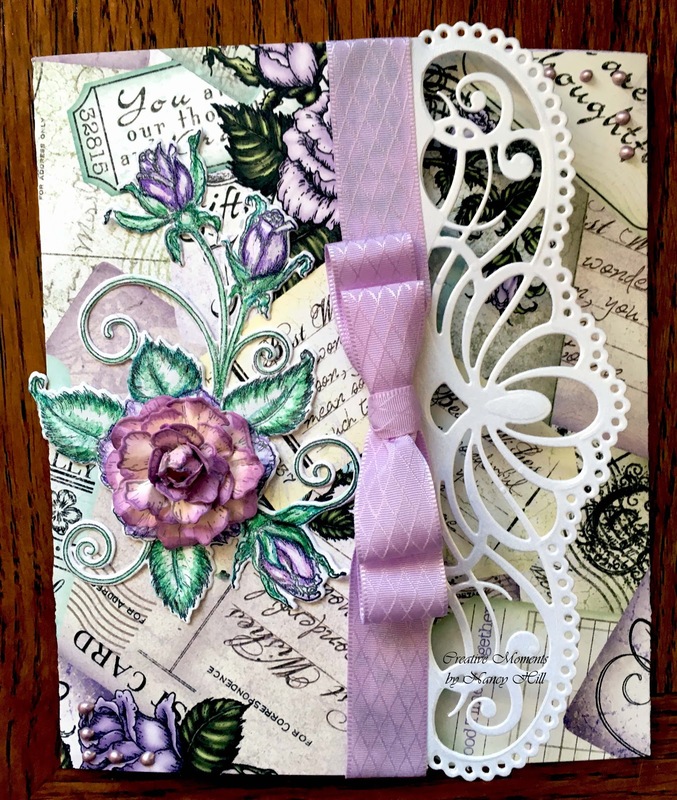 I wanted to share with you another Thank You tri-fold card that I made for our son's family. I typed this sentiment on my computer and printed it out. 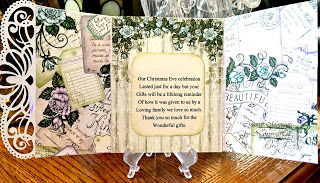 I sponged around the print out with Ranger Distress Antique Linen ink. I cut this label out of the Heartfelt Creations Blushing Rose Collection, punched a hole on top and stuck a yellow brad in the hole. If you don't have a yellow brad, you can color any brad with your Copic markers or paints. I used Scor-Tape to tape the label on the card. The Rubber Buggy and see what you create! 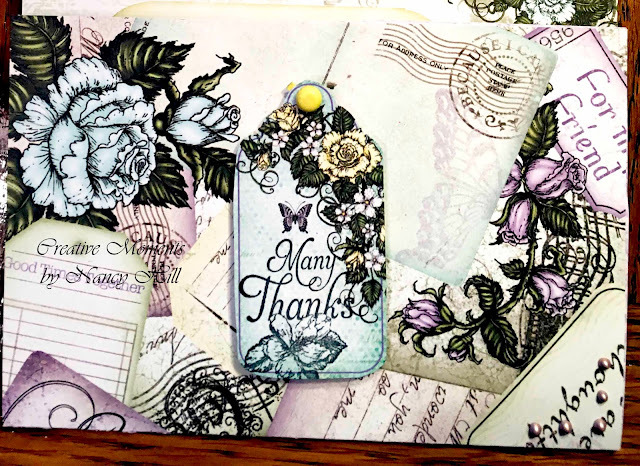 Remember to visit The Rubber Buggy store to shop for those gorgeous dies, stamp supplies and other supplies for all of your projects, scrap booking and card making. The Rubber Buggy Design Team has something new to share here. Pop in often and see for yourself what is being shared by this talented group of inspiring designers!! I'll be back again next Saturday with a new card or project.